You know when you make smoked ribs and those outer portions are super charred and smokey? With all the rub and bark on them? Those are the best parts. Crispy and porky and decidedly a long-smoked delicacy. Sadly, there just aren’t that many of those bites on ribs. But what if ALL the bites were like that? Can it be done? Yes. Yes it can. 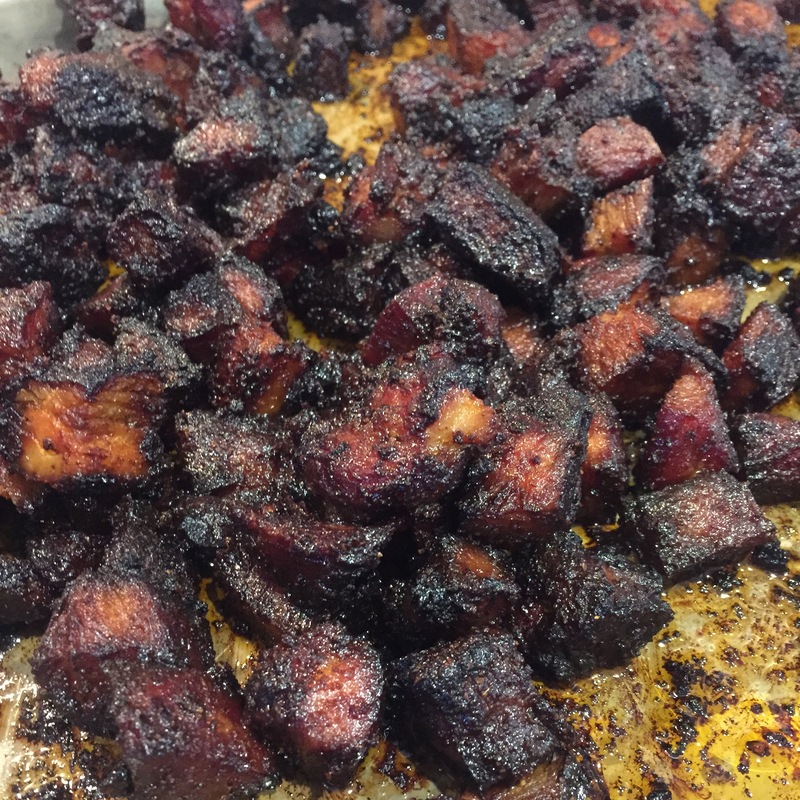 Smoked pork burnt ends to save the day. They are dead easy (even easier than my usual rib recipe) and make the perfect party food to feed a crowd. If I was having a Super Bowl party this year, these would definitely be on the menu. There are two good methods to make these and I’ve tried both. 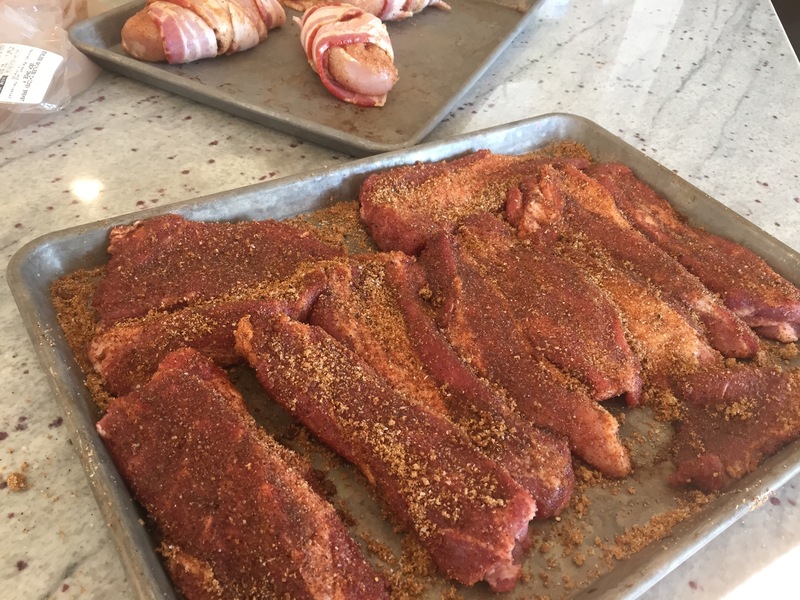 You’ll need to either get a pork shoulder if you are in the mood to spend a decent amount of time cutting it into slices or, if you are in a hurry, track down “boneless country style ribs” at your grocery store. Then the butcher will do all the work for you. You will, however, pay for their time in the price difference. The method couldn’t be easier. Rub the slices all over with rub and smoke them for a few hours. You can use any rub you like but my favorite is from Myron Mixon’s book. 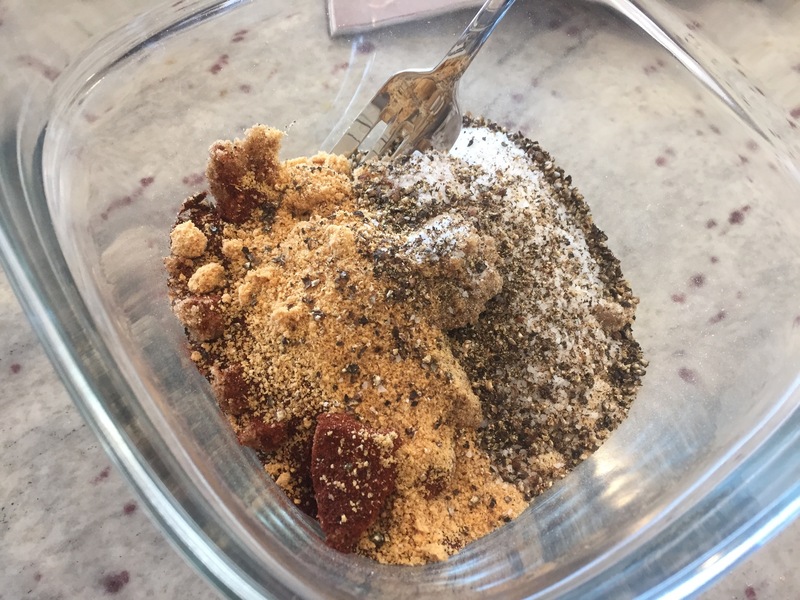 It makes a great bark and it is nice and spicy with two entire tablespoons of cayenne in it. I have routinely done half this amount when we have guests (hi Mom!) that don’t like as much spice and it is still delicious. Then remove them, let them cool enough to handle, dice them, and finish them in the oven. They’ve gotten all the smoke they can, so it is an easy shortcut to take. After a few hours, voila. 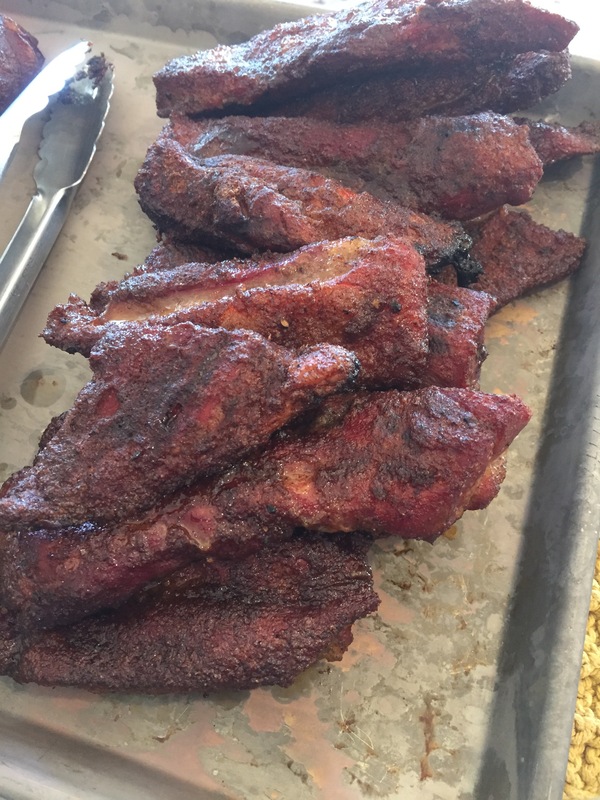 burnt ends. Use them to make a sandwich or just gobble them up with a fork. Or burn your fingers and mouth eating them right as they come out of the oven. Not that I would ever do something like that. 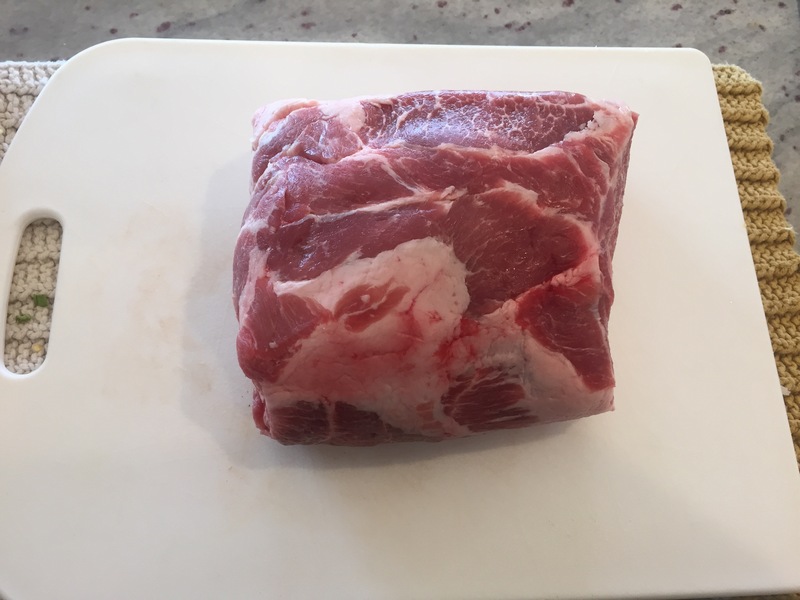 1 Pork shoulder, cut into chunky slices OR a few packages of boneless country style ribs. stir it all up until it is well blended. 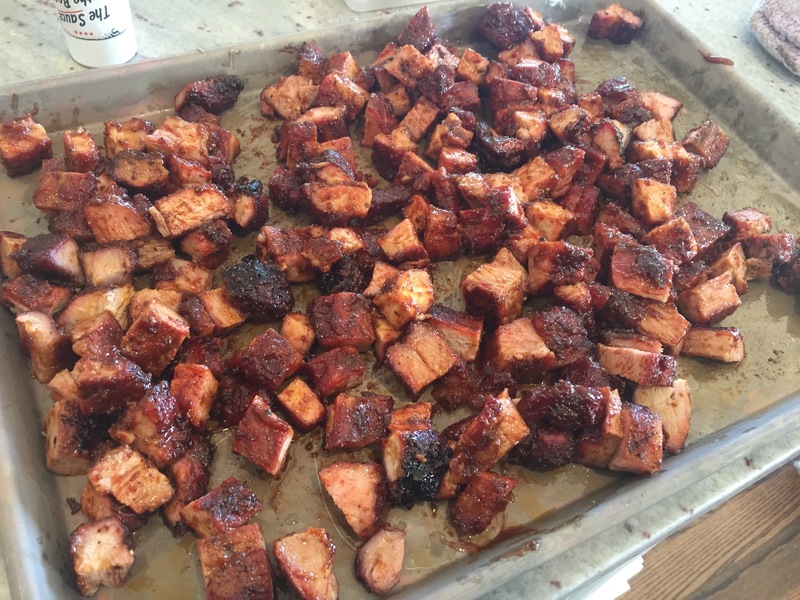 I use almost an entire recipe of the mix for pork burnt ends but I sometimes have a little leftover. It is fabulous on chicken as well! 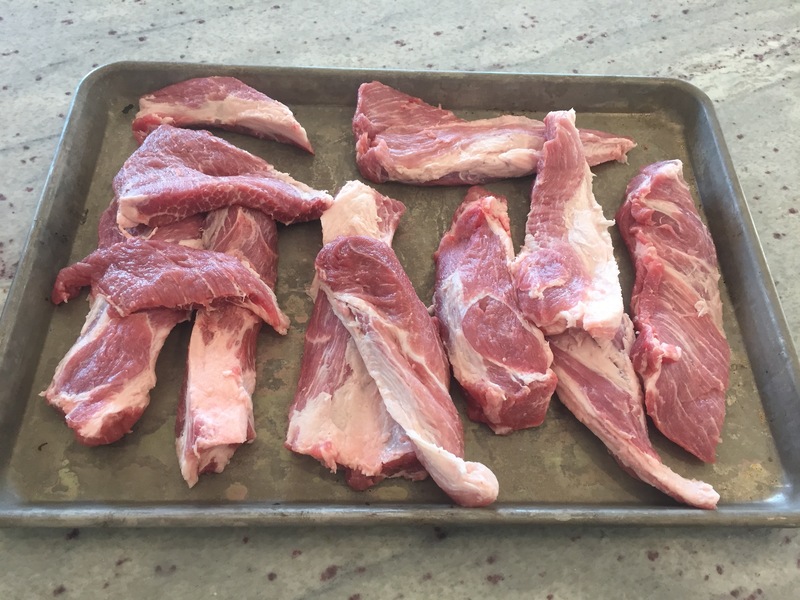 Prepare your smoker while you prep your pork. All you need to do is liberally spread the rub on your pork slices. Smoke them for a few hours, after which they will be cooked but not tender. Allow them to cool enough to handle and then dice them into bite size pieces. Toss them with some barbecue sauce and put them in your oven at 250. How long will depend on your pork and how charred you like them. I usually leave mine in for at least 2 hours until they are super dark and barky. UNF. Why don’t I have a smoker?! WHYYYY?! I have no idea. You cook more pork than anyone. Pork and smokers belong together.